Looking out over jagged edges, pits, and peaks, I imagine the earth should feel coarse beneath my bare feet. Instead the ground feels smooth, and it’s warm after baking in the afternoon sun. I’m from Urbandale, Iowa, not a major metropolis by any means, but urban enough that I notice the quiet here. And these deep canyons and looming spires are a sharp departure from the flat, endless corn and soybean fields that line the eight-hour drive from Iowa to Badlands National Park, South Dakota, where I am having my first visit to a national park at seven years old. Standing on the threshold of the canyon, I feel twenty-five—or at least what I imagine it feels like to be that age: I am independent. I am two feet taller. I am not wearing shoes because I don’t want to. It’s a new, energizing emotion, and I have a sudden sense of affection and responsibility for the wild landscape. Now I am twenty-five, and alas, I must report that I am not as tall as I thought I would be. But I have freely pursued my independence from the loess hills and prairies of Iowa to the cloud forests of Monteverde, Costa Rica. And though I generally choose to wear shoes, I relish the choice. I’ve continued to be an advocate for parks and protected areas, most recently as a doctoral student concerned about their future in the Anthropocene, the “Epoch of Humans,” a term proposed to describe the current geological age in which humans drive environmental and climate change on a global scale. Three years ago, at the start of my graduate program, my sense of responsibility for parks and protected areas became charged with alarm. As the National Park Service was preparing to celebrate its centennial, I was struck by the myriad and overlapping ecological, social, cultural, and management challenges for parks and protected areas in the Anthropocene. Climate change is melting the glaciers and drowning the Everglades. Development projects, accompanied by air, water, light, and noise pollution, edge closer to park boundaries and fragment habitats and migration corridors. Many parks feel the pressure of millions of visitors on facilities, trails, wildlife, and vegetation. And in seeming paradox with the crowding challenge, the NPS is also grappling with shifting national demographics that will test the relevancy of the institution and the lands it protects. Of course, changes of all sorts have always altered the historical character of parks, even before talk of the Anthropocene. But recognition of the Human Epoch represents a threshold crossed; there is a growing awareness of the human origin and the pervasive scale of change that challenges or changes the ways in which we value and relate to our parks and protected areas. In his work on the overlapping histories of environmental thought and landscape photography, Minteer wonders what such a view of the wild looks like. I wonder what it feels like, and here, I reflect on my personal journey to the place between wild and wrecked. The author, overlooking Rocky Mountain National Park. Date unknown. My early experiences with nature were the typical stuff of swims in the icy neighborhood creek, horseback rides at summer camp, and family road trips to the western national parks. The latter brewed in me a strong attachment to the wild freedom I experienced in those landscapes, and it’s a feeling I’ve chased through the years in camping trips, study abroad programs, and research projects. I wanted to explore and understand the highest mountain tops and the deepest seas, to go where people didn’t go. I ran to nature to escape heartbreak, stress, and disease that threatened my vitality, and I became fiercely protective of my safe spaces as an environmentalist, a conservation advocate, and a parks and protected areas researcher. Above all, I felt I had to shield these pristine wonderlands from humans as I observed our growing impacts on parks and protected areas. The Origins Myth. 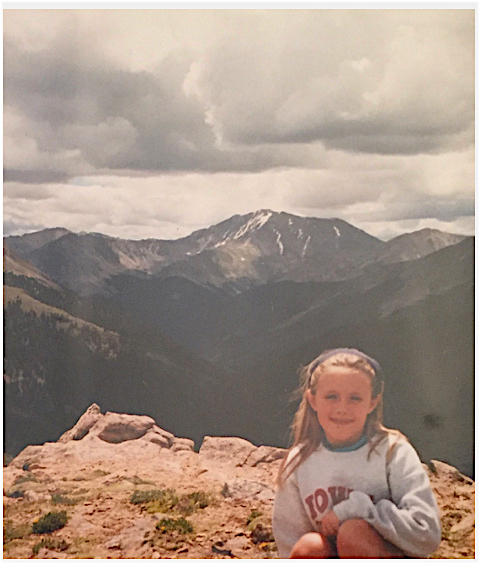 When I entered graduate school, I intended to design a research program to address what I thought to be the most pressing challenges for parks and protected areas, such as climate change, invasive species, and habitat fragmentation. Upon hitting the books in search of a knowledge gap, I discovered that most gaping was my own grasp on U.S. national park and wilderness history. It’s terribly naïve in hindsight, but I had grown up on the romantic rendition of park history, in which the parks are treasured for their intrinsic and uniquely American values. In this romantic history, the central figure is John Muir, who is remembered as the father of our national parks thanks to his relationships with Presidents Theodore Roosevelt and William Howard Taft, future NPS directors, and other significant characters, in addition to his countless letters, essays, and books about the importance of parks and wilderness. While it’s true that Muir played a significant early role in the origin of national parks, and later the NPS, my romantic reading of history ignored other powerful influences at play. The legislative history of the National Park Service Organic Act of 1916 opened my eyes to the reality of NPS origins. While you can find a full retelling from the pens of more capable historians, such as Richard West Sellars, I can share the details that turned my tide of thought. As Sellars argues, and I concur from my own research, “The legislative history of the Organic Act provides no evidence that either Congress of those who lobbied for the act sought a mandate for an exacting preservation of natural conditions." The hearings and congressional records highlight a concern with economics and administrative issues associated with creating a new bureau, as opposed to preserving America’s great wilderness landscapes. In 1872, Yellowstone became the first national park, and in the next four decades, eleven more “crown-jewel” landscapes were designated, each under independent legislation with different guiding rules for appropriations and administration. By 1912, financial and legal inefficiencies began to accumulate, impeding the development and implementation of a comprehensive management plan. Thus, the idea for a national park “service” or “bureau” entered the political agenda around that time, when the problems associated with uncoordinated management coincided with a politically receptive climate characterized by a mostly sympathetic Congress and powerful advocates.Perhaps most noteworthy was Stephen Mather, who eventually became the first director of the NPS, and who spent a considerable portion of his own Borax-built fortune supporting the NPS through its origins and infancy. His great wealth and political network helped bring the national parks idea to fruition, particularly his influence on politicians and railroad industry executives who were enticed by the possibility of a budding tourism industry. He was influenced by John Muir, who was the tour guide on Mather’s first rousing visit to Yosemite. To realize that his personal vision was not dominant is, of course, not to say that my childhood champion, John Muir, had no influence. Though he passed away in 1914 before the passage of the Organic Act, Muir was a vocal and prominent advocate whose influence continued after his death through his relationships with key characters in the legislative history, such as Mather. Muir’s impact can be seen even in congressional records; his name and authority are referenced throughout hearings and in committee reports. But now I understand that Muir and his romantic and preservationist ideals were not the sole (nor, for some, even the main) driving forces pushing forth the idea for the NPS. As I learned more about history, I also became aware that the environmental ideology I had developed was in part informed by a one-dimensional experience of parks. My family had typically ventured to the great landscape parks of the west, and if we had visited historical sites or other such units, I certainly hadn’t understood them as threads of the same fabric as Grand Canyon or Rocky Mountain National Park, believing the latter to be exemplary of pristine nature. This is a myth that obscures the deep history of human, and particularly Native American, connection to and impact on those landscapes. Native American historical experience on the land—and claims to the land—call into question the myth of the “pristine” park. In his famous essay “The Trouble with Wilderness,” William Cronon states: “The removal of Indians to create an ‘uninhabited wilderness’—uninhabited as never before in the human history of the place—reminds us just how invented, just how constructed, the American wilderness really is.” Native Americans thrived on these landscapes for thousands of years before they were protected areas, and in many cases, they altered the landscapes, too. Of course, in retrospect, many national parks and national monuments recognize Native American claims and historical alterations to park landscapes, but tensions have not completely dissolved. Keiter tells stories of entire tribes and families that were dispossessed of their ancestral homelands and sacred sites, including those who are still fighting for their rights today. One account transported me back to the time and place that had most formed my early connection to parks and protected areas. The Badlands and the Black Hills of South Dakota are sacred lands for the Oglala Sioux, or Oglala Lakota. They believe that the final Ghost Dance, a tradition thought to create peace among tribes and unite the living with the spirits of the dead, was performed in the South Unit of Badlands National Park in the late nineteenth century. This took place only weeks prior to—and only thirty miles north of—the Wounded Knee Massacre in which the U.S. Army killed over two hundred Lakota men, women, and children. Badlands National Monument was established shortly before World War II, during which the South Unit was used as a bombing range for the U.S. Air Force. Citing the wartime emergency, tribal members were removed from their lands by the government. In the 1960s, Congress returned the lands to the Oglala Sioux, but with the caveat that the NPS would administer the land. In 1976, the tribe and the NPS signed a Memorandum of Agreement stating that the two parties would co-manage and develop the land in the South Unit. And in 2012, the NPS and tribe jointly produced a plan to fully return the lands to the tribe, creating the first tribal national park focusing on the history and culture of the Oglala Sioux But the proposal continues to be delayed, with bureaucratic disputes between and within both parties continuing over the last five years. Reflecting on this dispute and the history underlying it, I find a disturbing and embarrassing dissonance between the independent energy I recall surging through me in the Badlands and the independence that was stripped away from the native inhabitants of the landscape. So, too, I realize that the deep canyons and looming spires are at once less wild and more byzantine than I recall. Prevalent throughout the many sessions, lunches, and happy hour discussions was an increasing awareness that cultural and natural resources are intertwined and that humans have a role that needs to be understood and considered, not shunned and ignored. Discussion among the hundreds of parks and protected areas researchers, advocates, and professionals often centered on Director’s Order 100, signed and released in December 2016 by former NPS Director Jon Jarvis. Direct from the document, the “overall goal of resource stewardship should be to manage for continuous change that we do not fully understand,” and in order to do that, we “have to integrate management of natural and cultural resources” and “recognize the impact of humans on their environment and the impact of a changing environment on humans.” At the highest level of administration, the NPS had decided to recognize and manage the human–nature relationship, but I still wasn’t sure what it meant for my personal relationship to parks and protected areas. The Great Dismal Swamp National Wildlife Refuge. Photo by Michelle Sullivan Govani. It’s hard to believe this is the best time of year to enjoy the Great Dismal Swamp. I’ve lived in the Sonoran Desert of Arizona for only three and a half years, but that’s long enough to forget the cold. Cloaked in a wool hat, two fleeces, and a knee-length rain coat, the wind still pierces straight through me. Of course, to my colleagues from the east it’s just a light April breeze. And with a name like “the Great Dismal Swamp,” when is the best time to visit? Certainly not the summer months, when thick clouds of mosquitoes and biting flies snack on visitors who didn’t heed the “Bug Spray Necessary!” reviews online. The Great Dismal Swamp National Wildlife Refuge lies on the eastern border of Virginia and North Carolina, right outside of Norfolk, Virginia. Norfolk is the home base for the George Wright Society Biennial Meeting, and those of us attending have been invited to visit the refuge on this blustery, cloudy Friday morning. We don’t get off to the best start. Several trees have been downed in an overnight storm, blocking our path into the refuge. While they are cleared, we are shuffled into a cramped room filled with taxidermied wildlife for a PowerPoint presentation that won’t load. However, our guide, Deloras Freeman, doesn’t need slides to entertain. Deloras has worked at Great Dismal Swamp National Wildlife Refuge for twenty-six years, first as a volunteer, and then in Visitor Services for the last sixteen years. I don’t think that I’ve ever met someone more contagiously in love with a landscape. In a matter of minutes, she has us all captivated by stories of George Washington’s early connection to the land and its long history of logging and attempted agriculture. It isn’t until we are outside, walking along a boarded path among trees I can’t name and birds I don’t recognize, that I realize we have been talking about people almost the entire time. And for our first stop, we arrive at the latest addition to the refuge’s interpretive sites, the Underground Railroad Education Pavilion. Wait, isn’t this a wildlife refuge? Listening to Deloras’ speech, I peer into the dense stand of trees surrounding us. The faintly odorous muck from which they sprout glistens, reflecting the trees so that they appear to extend indefinitely below. Leaves are just beginning to bud, sprinkling the gray and brown landscape with pops of green. It’s not the echoing grandeur of Yosemite or Yellowstone, but there is a quiet, untouched beauty to this place. And yet, Deloras tells us, this place is far from pristine. With a record of human inhabitance thousands of years long, the Great Dismal Swamp Wildlife Refuge is a cultural landscape. 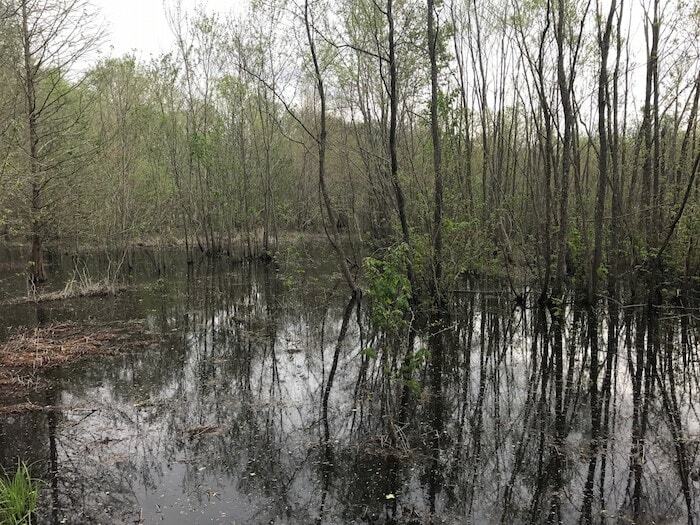 Swamps up and down the east coast have a famous record as uncomfortable, if not hostile, environments due to the biting flies, venomous snakes, and, of course, the dense, soaking peat soil. So it makes sense that the initial impulse of colonial settlers was to drain and repurpose the land for farming and logging. Evidence of this is rampant throughout the swamp, including, as Deloras calls it, “the first national monument to George Washington,” the Washington Ditch. Before he became a general and later our first president, Washington was a surveyor and owner of the Dismal Swamp Surveying Company. Today, forty ditches and over one hundred and fifty miles of road remain, some of which is still used by refuge managers and visitors. Though the refuge has embraced this history, some of these marks are considered scars on the landscape. Ditches and roads have disrupted hydrological processes, not only harming plants and animals, but also posing potential hazards to the surrounding human communities. Wildfires have become more likely as peat soil that is typically wet dries out. A 2011 fire burned for one hundred days, wiping out approximately 6,400 acres of the 112,000-acre habitat. Other, more recently unearthed records of human inhabitance have left subtler, almost invisible, physical marks on the landscape. Historical archaeologist Professor Daniel Sayers of American University has spent more than a decade recovering over 3,500 artifacts from the swamp. His work has confirmed longstanding rumors that communities of Native Americans and escaped slaves often sought refuge in the swamp from 1680 until after the Civil War. This is what has brought our tour group to the Underground Railroad Education Pavilion. As we discuss the remarkable lives and unimaginable struggles of the slaves and Native Americans who took refuge in the swamp, I am also effortlessly aware of the dangerous and exciting wild around us. Turkey vultures circle overhead, teeth and claw markings on the benches alert me to the presence of black bears, and the boardwalk elevating my feet reminds me of the venomous snakes that claim the waters of the ditch below. Parks and protected areas have provided me refuge from people and the problems they present. Away from people, I could reflect on my broken relationship. Away from people, I could finally see myself as something besides a cancer patient. 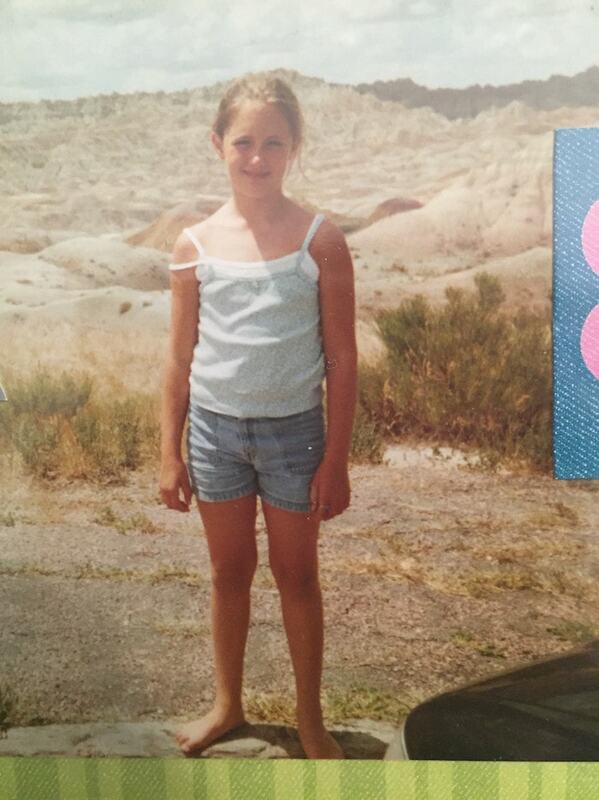 Away from people, I was older, stronger, and taller. But have I wanted to believe that parks are pristine to escape the reality of humanity’s impact, not just on myself, but on the parks themselves? History shows that parks are of us, by us, and for us—human constructs. As Cronon insists, parks “could hardly be contaminated by the very stuff of which [they are] made.” So they’re neither wild, nor are they wrecked. And to pretend I can fully escape people in parks and protected areas is to ignore the history of these landscapes and their dependence on human values. In the Great Dismal Swamp Wildlife Refuge, where the purpose is to restore and maintain native biodiversity, I have seen what it looks like to embrace that history. In this swamp, acknowledging the human footprint doesn’t make it a lesser place, not worth restoration and protection. In fact, Deloras tells me, the man-made ditches are tools for hydrology, fire, and forestry management. And the mission to restore and protect does not necessitate neglecting a rich human history. Instead, that history is framed as our connection to the landscape—a further, stronger, motivation to protect it. I’ll be asking myself for years what this means for my own relationship to parks and protected areas. Certainly, my affection and sense of responsibility haven’t disappeared, and nor has my concern for the challenges to come. But standing on the threshold of the Anthropocene, I’ll embrace anything that makes me feel part of, rather than separate from, parks and protected areas. I’m hopeful that connecting to our history in and on these landscapes will empower us to acknowledge our contemporary impacts and to honor our own place in history by protecting them as our natural and cultural heritage. Thank you, Deloras Freeman, Visitor Services Manager, for your help in piecing together the natural and cultural histories of the Great Dismal Swamp National Wildlife Refuge. And thank you, Kush, for pushing me to move beyond place and into meaning. R.W. Sellars, Preserving Nature in the National Parks(New Haven, CT:Yale University Press, 2009), 29. R.B. Keiter, “‘Ancestral Lands’: Nature, Culture, and Justice,” chap. 6 in To Conserve Unimpaired, (Washington, DC: Island Press, 2013), 121-42. W. Cronon, “The Trouble with Wilderness; or, Getting Back to the Wrong Nature,” in Uncommon Ground: Rethinking the Human Place in Nature, ed. William Cronon (New York: W.W. Norton, 1995), 69-90, at http://www.williamcronon.net/writing/Trouble_with_Wilderness_Main.html. R.B. Keiter, “A Badlands Tribal National Park Proposal,” in To Conserve Unimpaired, 134-138. E. Zach, “In the Badlands, Where Hope for the Nation’s First Tribal Park Has Faded,” New York Times, December 14, 2016, at https://www.nytimes.com/2016/12/14/travel/badlands-faded-hope-for-indian-tribal-park.html?_r=0). The Trump administration rescinded Director’s Order 100 on August 22, 2017; I believe this is a step backwards for the NPS, though I have spoken with NPS officials who still intend to carry out the intention of the policy despite its absence. See George Wright Society, “Trump Administration Throws Out USNPS Plan for Resource Stewardship,” Memorandum to the National Leadership Council, August 22, 2017, at http://www.georgewright.org/node/15333. S. McCammon, “After Centuries of Draining This Swamp, the Government Now Wants to Save It,” NPR: All Things Considered, July 3, 2017, at http://www.npr.org/2017/07/03/534150922/after-centuries-of-draining-this-swamp-the-government-now-wants-to-save-it. R. Grant, “Deep in the Swamps, Archaeologists Are Finding How Fugitive Slaves Kept Their Freedom,” Smithsonian Magazine, September 2016, at http://www.smithsonianmag.com/history/deep-swamps-archaeologists-fugitive-slaves-kept-freedom-180960122/. Michelle Sullivan Govani is a Ph.D. candidate in the school of life sciences at Arizona State University.